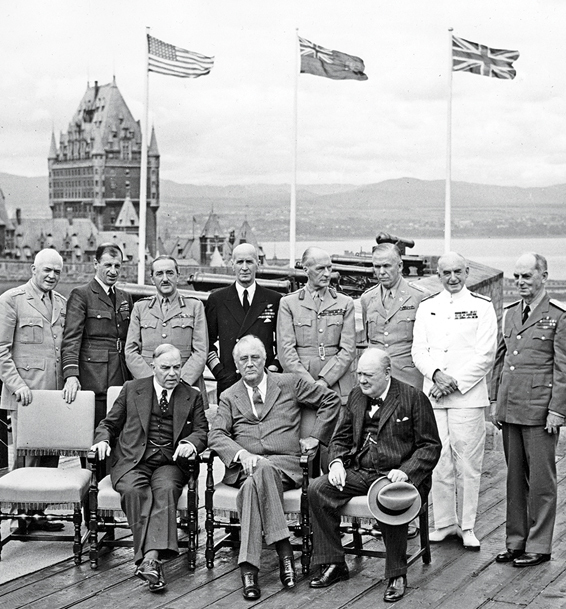 Allied leaders (seated, from left) Canadian Prime Minister William Lyon Mackenzie King, American President Franklin D. Roosevelt and British Prime Minister Winston Churchill, accompanied by senior military commanders at the First Quebec Conference in August 1943. The Château Frontenac opened on Dec. 11, 1893, one of the grand Canadian Pacific Railway hotels that include the Banff Springs Hotel and the Chateau Lake Louise. Designed by American architect Bruce Price, it sits on a prominent site in Quebec City, perched 54 metres above the St. Lawrence River. Several additions over the years have yielded an 18-storey, 618-room castle that has been called the most photographed hotel in the world. Both the Château and the site are steeped in history. It was named for Louis de Buade, Comte de Frontenac, the governor of New France from 1672 to 1682 and 1689 to 1698. Under his sometimes-choleric leadership, the French took possession of much of the continent. To the west are the Plains of Abraham, the country’s most famous battlefield, where the French subsequently lost their foothold. Farther along the St. Lawrence River is Anse au Foulon, a small cove where Major-General James Wolfe’s men climbed to meet Lieutenant-General Louis-Joseph de Montcalm’s soldiers on the plains. 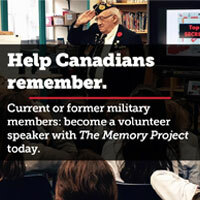 Three of the Château’s most famous guests arrived in August 1943, in the middle of another war. British Prime Minister Winston Churchill, American President Franklin D. Roosevelt and Canadian Prime Minister William Lyon Mackenzie King met to discuss various military plans, although King was left out of most meetings. While Canada and Great Britain were allied, King and Churchill were strange bedfellows. The teetotalling King complained that Churchill was “tight all the time” and Churchill was impatient with King’s natural caution. But there was mutual distrust between Churchill and Roosevelt, so the diplomatic King often served as an intermediary between the two. This conflicted trio met again at the Château in September 1944, the conference code-named Octagon. They discussed the role of the Royal Navy in the war with Japan and Allied occupation in a defeated Germany. Victory seemed closer now, though a few months earlier Hitler had launched a V-1 flying bomb, the first of 9,521 that would spread terror in England. 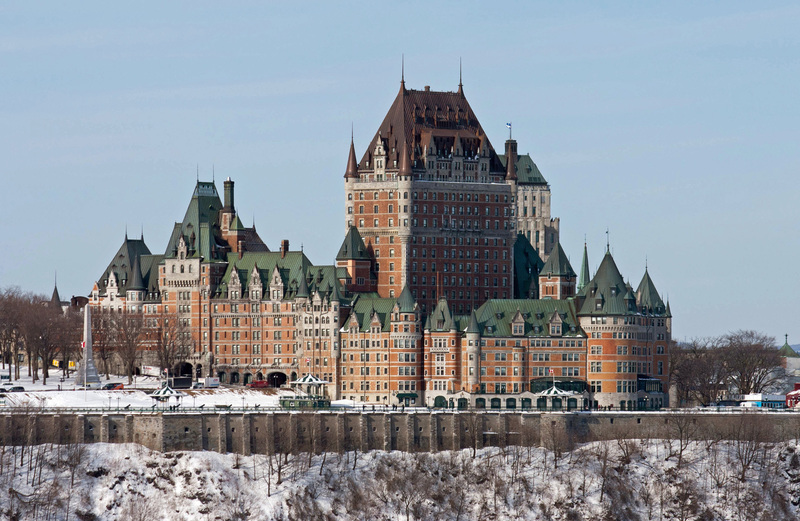 In peacetime, the Château Frontenac has played host to numerous dignitaries. Queen Elizabeth, Paul McCartney, Steven Spielberg, Angelina Jolie, Charles de Gaulle and Leonardo DiCaprio have all stayed there. Celine Dion got her big break there, singing for a group of Sony executives in the ballroom. It has served as a set for television programs, including a popular South Korean drama, “Goblin: The Lonely and Great God” and films, among them Alfred Hitchcock’s 1953 movie I Confess, about a Catholic priest. The Château withstood a fire in 1926 and survived Maurice Duplessis, who made it his home during his long reign as premier (1936-39 and 1944-59). In 1981, the Château Frontenac was designated a National Historic Site, and in 1985, the district of Old Québec in which it sits was listed as a UNESCO World Heritage Site. In honour of its 125th anniversary, the hotel is holding various exhibitions throughout the year.